And Roy Blackman, introducing Mark Doty talking about Whitman. He had lots of it. Alan Brownjohn, he had it, in his shimmering suit and tie, his poem about a cat. And Bill Herbert, furiously gripping the lectern as he talked of the suicide of his friend Andrew Waterhouse. I found it in the chip shop, wondering where the party was, when I bumped into Matt Harvey. He had it (and has it). Lives off it, in fact. 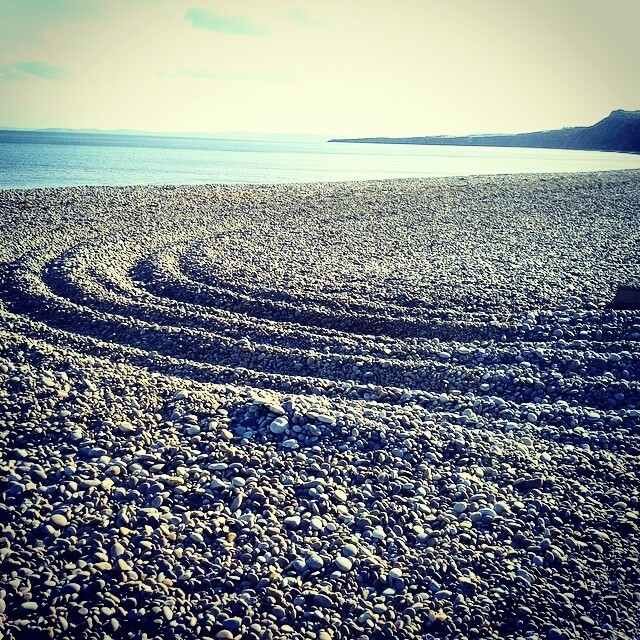 It was there on the beach in the sunshine when I rehearsed my reading to a Labrador and what I thought was a mermaid, which turned out to be Candy Neubert taking an early morning dip. She had it. Rather a lot of it. Liz Lochhead, who I spent the whole weekend mustering up the courage to speak to, and who, when I did, touched my arm and beamed ‘I remember you!‘ She had it. Anne Carson dividing the audience into two halves: those that would, and would not, like her reading. Ditto Janet Fisher, who appeared out of nowhere to do the same. But most of all in that moment when an audience is both lost and then found in it, surprised by their discovery of it, and simultaneously delighted they had the patience and the wherewithal to absorb it, and only then applaud.